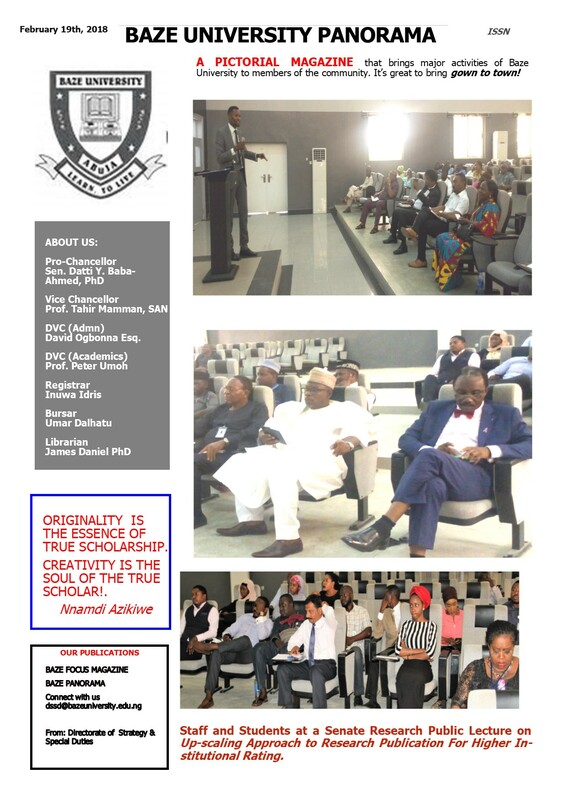 The Directorate of Strategy and Special Duties (DSSD) at Baze University was established by Management in July 2017 to strengthen the strong foundation of the Baze Brand as a key player in the provision of private tertiary education in Nigeria. The Directorate provides a unique delivery platform for initiatives and interventions that address peculiar challenges in implementing plans, university growth, etc. The Directorate is primarily responsible for proposing policies, strategies and programmes in the areas listed in the two boxes above. Set up operational guidelines for the Baze Foundation etc. The Directorate is in Suite 67, 2ndFloor, Faculty of Environmental Sciences, Baze University, Abuja.